When considering this, think not only of pounds lost, but also of the possibility of becoming healthier both physically and emotionally. Experts agree that maintaining weight losses of as little as 5-10% of initial body weight can lead to major health benefits. Without treatment, research shows the average obese person typically gains 2% of their body weight each year. Many people report experiencing a higher quality of life and greatly improved health status after losing weight. Self-esteem and physical activity can also increase. A reduction in fatigue, high blood pressure, blood cholesterol, blood sugar, and joint related problems is not uncommon with weight loss. Upon arriving at our Denver weight loss clinic, you will be greeted by our friendly front office staff and will be asked to complete your initial paperwork. You may speed this process up by downloading and filling out the 2 forms available on this site. (Click SAVE TIME to the right). A Medical Assistant will assess your weight, vital signs, and body composition. Blood will be drawn for labs. A Medical Assistant will finish with a clinical observation. You'll then meet with a Care Provider to discuss your best options based on your history, physical examination and goals. A treatment will be determined at this time. Finally, you'll meet with our Nutritionist for a nutritional evaluation and meal plan creation. These appointments generally take approximately 1 hour. Please note, this time can be shortened if you bring your completed paperwork to your first appointment. At the end of your visit, you will be supplied with the necessary prescription medications, supplements, and meal replacements (if any) at the clinic. 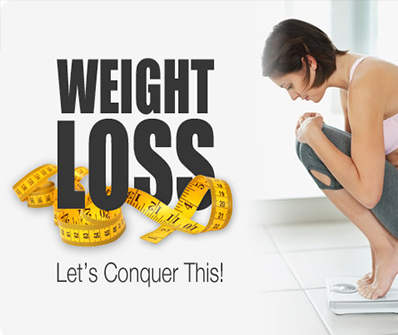 Our goal is to provide you with a comprehensive plan for meeting your weight loss goals right away. Your follow up appointments will be scheduled weekly, x2/ month or monthly, depending on your needs. After you sign in at our front desk, a Medical Assistant will assess your weight and vital signs, take measurements, perform an evaluation, and go through a brief questionnaire with you. The Medical Assistant will then administer your diet shot (if prescribed) after your assessment. Next the Nutritionist and/or Care Provider will meet with you to review your progress as needed. Your weight loss plan will be adjusted based on your progress and assessment. These appointments generally take approximately 20-30 minutes. After successful completion of our program, our staff will work with you to tailor a maintenance program for you. Scheduled appointments may be less frequent depending on your needs. 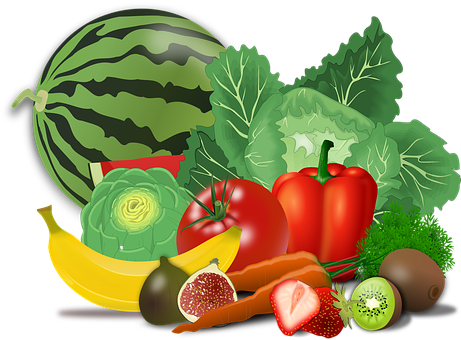 Our mission is to provide safe and effective weight management programs for our patients, hoping to prevent disease and promote happier and healthier lives. Bioimpedance analysis (BIA) is a reliable method of measuring body composition, including percentage of body fat and lean body mass. Measurements are taken with a bioimpedance analyzer, which uses electrodes similar to EKG electrodes. The machine passes harmless,ultra-low level electrical current through the body. Lean tissue, which is over 70% water, is a good conductor of electrical current. Fatty tissue-low in water, is not. Thus, the resistance to the flow of electrical current measured by the analyzer can be used to calculate body composition. Participants will need to remove their right shoe and sock or stocking. The electrodes are placed on the right hand and foot wile the individual is lying down on an exam table. This whole procedure takes only a few minutes and a computer prints out the results. Optimal body fat ranges from 12%-25% for women, and 5%-20% for men. Drink at least 1 quart of water one hour before your test (you may void as needed). Until 2002, taxpayers were only allowed to claim the cost of doctor-recommended weight-loss treatment for such problems as heart disease and hypertension. Now, obesity itself qualifies as a disease. Details of this tax break are in IRS Publication 502, Medical and Dental Expenses. Q: Do I have to be obese to be eligible for the deduction? A: The eligible taxpayer must have a doctor-diagnosed disease, including obesity, that is likely to benefit from weight-loss treatment. Heart disease, hypertension and high cholesterol are other conditions that may prompt a doctor to prescribe weight loss. Q: What kind of treatment expense is deductible? A: Bariatric surgery, FDA-approved weight-loss drugs, physician and hospital-based programs, behavioral counseling, dietitians and nutritionists, as well as some commercial programs such as Weight Watchers and Jenny Craig are tax-deductible. Q: What expenses cannot be deducted? A: Health club dues, nutritional supplements, over-the-counter products, diet foods and exercise equipment. Q: What documentation must be kept for the IRS? A: You need not submit proof of treatment and payment with your taxes. However, such documentation should be kept in case of an audit. It should include documentation that a physician told you to lose weight for a specific disease, such as obesity. It is prudent to keep records of prescriptions, as well as other receipts and invoices related to treatment.